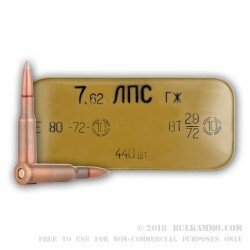 This surplus 7.62x54r ammo is Bulgarian made and comes in two factory original 440 round count spam cans. 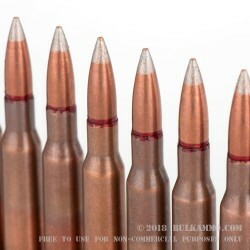 This silver-tip variant of 54r ammo is known for solid accuracy and it features the military specified mouth/jacket and primer pocket sealant to prevent moisture intrusion. 54r surplus ammo has becoming increasingly hard to find so stock up while you can. This ammo is corrosive so we recommend giving your firearm a good cleaning after you finish shooting. 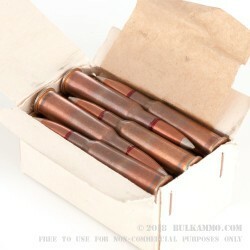 This ammo is loaded into non-reloadable berdan-primed steel cases topped with 147 grain full metal jacket projectiles. 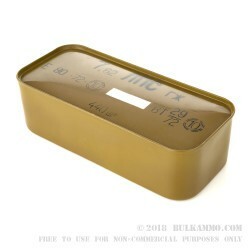 When looking on the tin, that number 10 with the circle around it tells you all you need to know. This is some of the best, most reliable ammo made in this caliber. This is circle 10 sniper grade, silver tipped ammo, and the stuff is phenom! It is designed to stabilize in flight very well, and hold it's trajectory longer, thus minimizing bullet drop, especially at the longer ranges. Packs a respectable wallop as well, as does most 54r. You will not go wrong with the circle 10 stuff and would encourage all who own firearms in this caliber to grab some up like yesterday. Reason; the government is trying every back door trick imaginable from Executive orders, to signing the UN gun ban, to limit importations of eastern bloc stuff. While this caliber is reasonably available now, it may not remain so...... if the scratch is available, smart money says keep a spare case of this tucked in a closet somewhere. Few that I tried did well at a good price. Corrosive but almost as cheap as a .22 to shoot so you can't really complain. I got this for my Mosin, the cans are sort of a pain, but I liked it because I know the other one is sealed very well. Like everyone else has said it is very dirty, also it is corrosive so if you value the bore of your barrel clean it after you shoot. I have shot around 50 rounds of this so far no FTF, very accurate as far as I can tell. On top of that it averages out to $0.20 a round not bad compared to my other rifle costs. As always prompt and speedy delivery. Q: Will this ammo reliably fire from a standard AK-47 semiautomatic? A: Chances are, your AK-47 will be chambered for the 7.62x39 round, which is not interchangeable with the 7.62x54r which is popular for older bolt action rifles. Also popular on the market is the 7.62x51 which is identical to the 308 Win. round. This caliber is also in its own league. All 3 of these rounds can easily be mistaken for another as the numbers look identical, though none are interchangeable with one another. 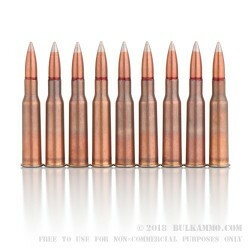 With the AK-47 in mind, you will want to think 7.62x39 ammo. Q: Is This brass re-loadable? A: These Bulgarian rounds will not be reloadable after they have been shot. 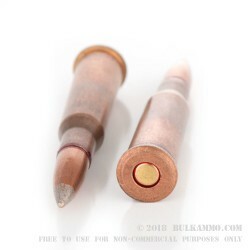 These rounds are Berdan primed, which are not designed to be used in the reloading process. The steel casing also make them a poor material for safely resizing and expanding. Q: Does this order come with a can opener? A: Yes, the order of 880 rounds comes with a can opener. Q: Does the ammo come with the wooden Box/Crate? A: The cans are packaged in a cardboard case. Q: does this ammo have a steel core? A: Yes, this surplus 7.62x54R ammo has a steel core and will attract a magnet. Q: Does the bulk order of 880 rounds come with the stripper clips and also a can opener to open the can? 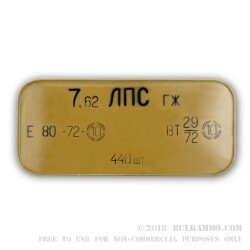 A: The bulk order of 880 rounds (two 440rd cans) of Bulgarian surplus 7.62x54R does not come with stripper clips, but does include a can opener. Q: Is this 7.62x54 corrosive???? A: Yes, this surplus ammunition is loaded with corrosive primers.